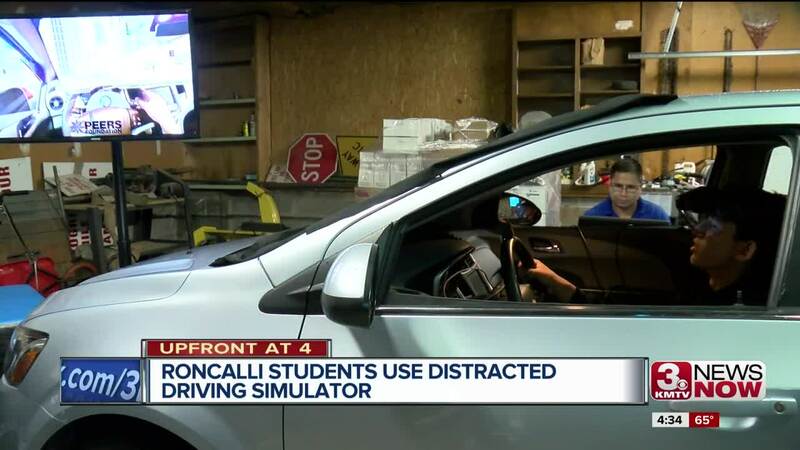 Reporter John Kipper gets behind the wheel of the distracted-driving simulator..
Roncalli High School senior Jack Willis is familiar with what happens when you take your eyes off the road. "I had McDonalds with me, so I looked down, dipped my chicken nuggets in the barbeque sauce real quick. I did that, and I looked up, and the car in front of me had stopped suddenly, and I rear-ended them," Roncalli senior Jack Willis said. 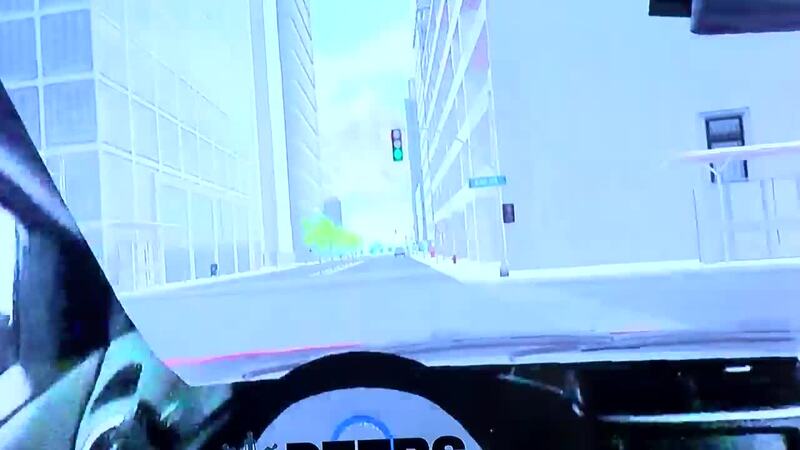 Willis, along with many other Roncalli students, were in the driver's seat of the augmented reality distracted driving simulator, which shows what could happen if they check a Snapchat or a text, or fall victim to any other number of distractions while behind the wheel. The Peers Foundation , along with State Farm Insurance, is making stops in four Nebraska high schools this week. "That's where you learn a lot of things. That's where you first develop your habits, especially behind the wheel. The things that you do today are going to carry with you for years to come," says Tyler Peschong, State Farm agent. While some students won't admit to texting and driving themselves, they say it's a chronic problem when their friends are driving. Amber Gao says when her friends text and drive, she doesn't speak up and instead ignores it. "Because it just sounds so not cool — everybody is doing it — you sort of just don't want to be the parent in the car," said Gao, a senior at Roncalli. But after riding in the simulator, that may change. "(I will) probably tell them not to because I'm in the car," Gao said. "I'm precious; lives are precious in general." Although the simulator focuses on changing the habits of high school kids, drivers of all ages are prone to texting and driving . "I've seen adults do it, too. I'll be driving on the road, and I see some 40-year-old man start heading into my lane. I think it's a problem for everybody," Willis said.